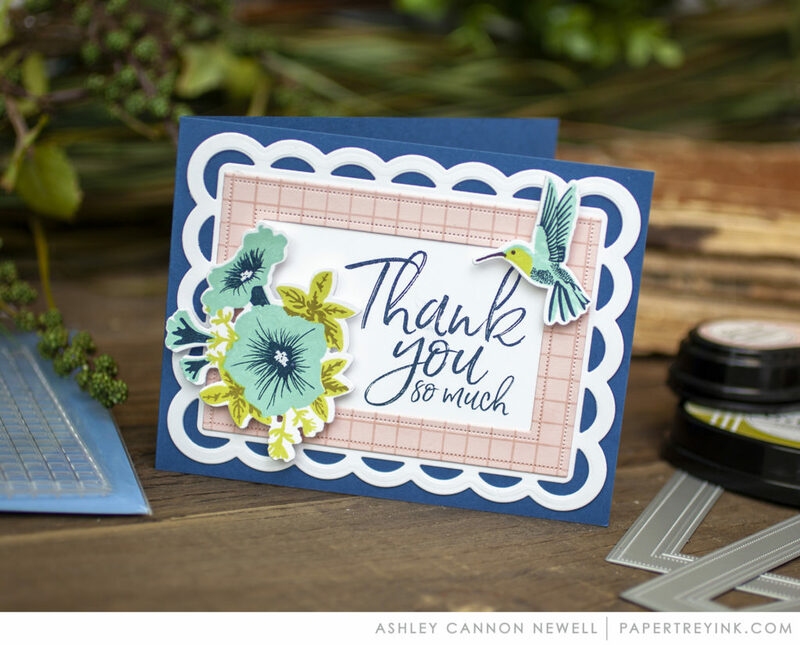 Join Ashley Cannon Newell today as she shares ideas on ways to add pattern to frame die cuts. Create a project utilizing your take on the challenge. Your project must use at least one Papertrey product and include patterned frames in your project like Ashley shared in the video. You will have until 6am ET, Monday, October 15th, to add your link to the list to be eligible to win. One randomly selected winner will be chosen from ALL the entries on Monday, October 15th, after 6am. The winner will be posted here on this blog post, on Twitter and Facebook. The randomly selected winner will get a $25 PTI gift certificate to spend however they like! Congratulations, Kay Demonbren! Please send an email to customer service and provide them with your full name and the email address you would like your gift certificate sent to. Thanks so much to everyone for playing along! Awesome challenge Ashley! Your card is beautiful! I have so many frame/border dies..thank you for inspiring me to finally use them ❤️!!! Loved all of your cards. Adding pattern to the frame is a great idea. Thanks for the video.